Heathcoat Fabrics, a British technical textiles specialist, will be showcasing its newest range of fire resistant 2D and 3D fabrics at the upcoming Techtextil trade fair, which takes place from 14-17 May in Frankfurt. Visitors to the show will see selected products from the range, which uses covered silica yarns. 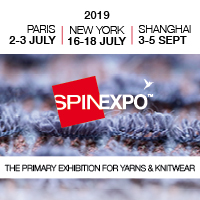 The use of such yarns in warp knitting technology is a new concept providing the potential for a variety of innovative effective performance fabrics, the company reports. Bespoke engineered designs are available alongside aramid, PEEK and silica compositions. “Our goal was to design an engineered range of knitted fabrics, to enhance our current offering with a higher level of FR capabilities. The advantage customers have working with Heathcoat Fabrics is our ability to design completely bespoke fabrics to suit their specific requirements,” commented Adrian Lockyer, Business Manager of Knitting at Heathcoat. The UK-based manufacturer is recognised for its portfolio of woven and knitted fire-retardant fabrics and its latest addition is the launch of silica-based fabrics available in the Safe-T-Tec range; a variety of 2D and 3D fire retardant knitted fabrics. The 3D design has been engineered to include Heathcoat’s spacetec spacer fabric that is said to offer increased airflow for breathability, reduce thermal burden and provide moisture management. Markets to benefit from this innovation include aerospace, automotive, PPE, furniture and a multitude of general market sectors. Current textile structures include lightweight 2D meshes, scrims and fabrics with a 3D spacetec potential providing moisture management, breathability and air pocket and barrier prospects. The range can be dyed and is available in high-vis, meeting EN 14116 Index 3 and FAR 25.853 standards (twelve second burn) BS 5852 (Crib 5) as an indication of its positive protective merits. The Safe-T-Tec spacer product also meets federal standard FR 1633.